We announced new packages for Cloud hosting. Cloud hosting is more reliable and expensive environment where multiple servers connected to each other and uses all resources of servers collectively. There is no need to restart the computer for any hardware upgrade. Simply we add new servers when they are needed. We worked hard to let our prices affordable for everyone. Domain Reseller Lahore Pakistan, Web hosting Pakistan, Web Hosting Lahore, Web Hosting Karachi, Web Hosting Islamabad, Web Hosting Faisalabad, Web Hosting Gujranwala, Web Hosting Gujrat, Reseller Web Hosting Pakistan Lahore, Dedicated Web Hosting Pakistan Lahore, Cheap Domain Registration & Transfer in Pakistan Lahore, reseller web hosting Pakistan Lahore. Web design Pakistan Lahore, Web development Pakistan Lahore, Software development Pakistan Lahore, Website Development Pakistan Lahore, Affordable prices. ASP.Net 4.5, ASP.Net 4.0, ASP.Net 3.5, ASP.Net 3.0, ASP.Net 2.0, ASP.Net 1.1, PHP, Windows Server 2008, Windows Server 2003, MS SQL Server 2012, MS SQL Server 2008 R2, MS SQL Server 2005, MySQL, Microsoft .Net Framework 4.5, 4.0, 3.5 SP1, Silverlight, WPF, WCF, MySQL 5. *, MS Access, CGI, PHP 5. *, Perl, Python, SSI, Cron, Frontpage, Curl, GD, Asp, Jsp, Tom Cat, POP3 & SMTP, Anti-spam Email System, Custom Name Servers (NS) and Best value. Nafees Solutions has it all! We offer affordable web hosting, dedicated server, e-commerce hosting and other Internet presence solutions. Our low cost yet powerful Internet web hosting services makes Nafees Solutions, the best web host for your web site. 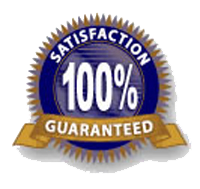 With any web hosting account Nafees Solutions provides quality web services. So if you want affordable web hosts, low cost yet powerful servers, get your website hosted with us! Along with this outstanding support and service, we also offer the lowest prices you can find for web Development and software development in Pakistan . Nafees Solutions provides the best solution for your requirements. We also provide reseller hosting. Each reseller hosting plan comes with a rich-graphical control panel (Plesk) for each site and all hosting features (free scripts, free bulletin boards, free shopping carts & more) provided at no extra cost. Each reseller packages has numbers of domains to host. You are only limited by the size of the resources in the plan you purchase. There are no per domain fees.